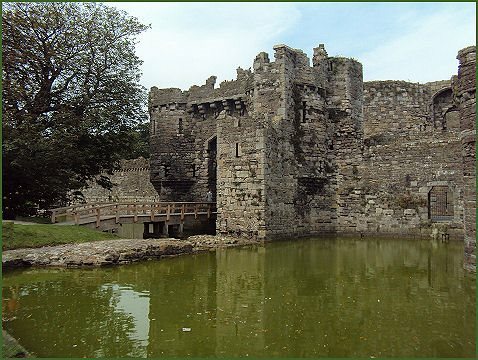 Beaumaris Castle was built by King Edward I as part of his campaign to conquer North Wales. The castle was designed by Edward's military architect, James of St. George and was begun in 1295, but was never completed. The most technically perfect medieval castle in Britain. 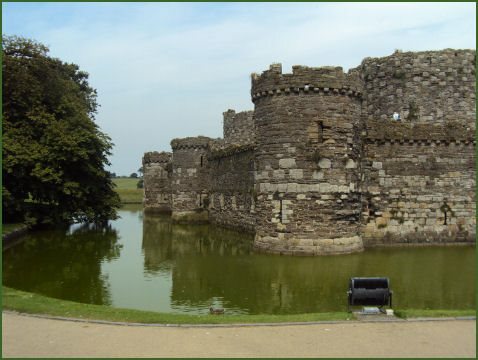 Beaumaris was the last and largest link in the chain of coastal fortresses built by the king to control his Welsh conquests. 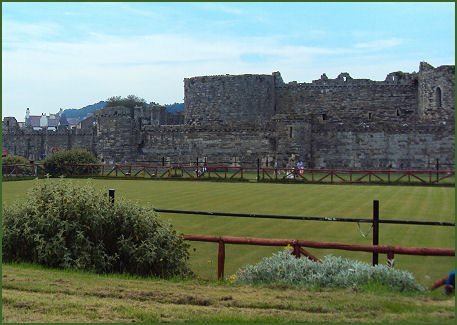 Beaumaris, along with the nearby castles of Harlech, Conwy and Caernarfon, is a World Heritage Site. Building on the castle commenced in 1295 in reaction to a Welsh rising on a site which commanded the old ferry crossing to Anglesey. The new castle was given the Norman-French name of Beau Mareys meaning beautiful marsh. 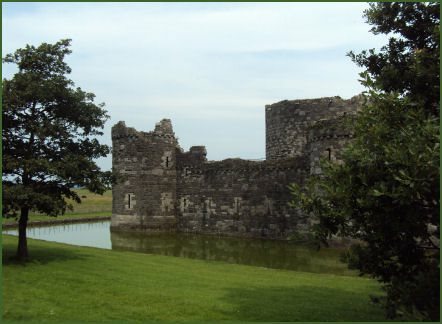 The intention was to build a walled town adjacent to Beaumaris Castle, the inhabitants of Llanfaer were evicted from their homes and settled some 12 miles (19 km) to the southwest, where a settlement which was given the name of Newborough was created. At first work progressed steadily, two thousand labourers were employed to dig the encircling moat and hundreds of masons, smiths and carpenters began raising the six towers and two huge gatehouses of the inner ward, surrounded by sixteen towered defences of the outer ward. But the King's attention was distracted from the project and funds and supplies faltered. When work petered out some thirty years later, Beaumaris was in the state that we can see today. The plan of the castle is almost square in shape. The inner ward is rectangular with a round tower positioned at each corner. On the north and south sides are massive gatehouses following the typical pattern of two D-shaped towers flanking the gate passage, while two more D-shaped towers defend the east and west walls. The great hall and other domestic buildings would have been constructed within this inner ward. Surrounding the inner bailey (in accordance with the concentric ideal) is an outer wall defended by towers and its own two gatehouses. These are not aligned with the inner gatehouses and would have denied attackers the advantage of a straight path through the gates. The dock wall extends from the south wall near the gatehouse so also serves as a defensive firing platform.In the thirteenth century the castle had connections with the sea, the old tidal dock is still visible, though the short channel which gave seaborne access has long since disappeared. The castle is managed by Cadw, the Welsh Assembly Government's agency for historic monuments.